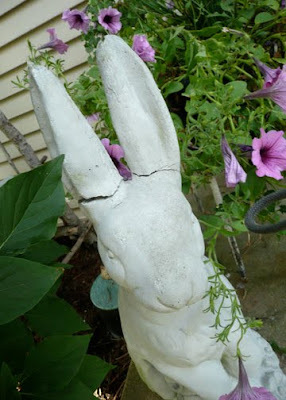 Even my Peter Rabbit statue suffered injuries. 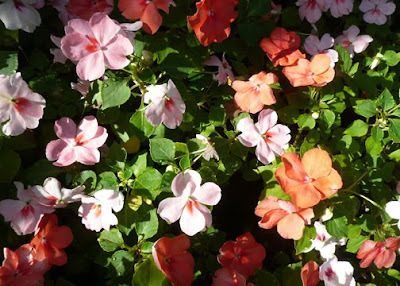 It kind of all goes along with how the rest of the weekend went ~ I bent down to pick something up and threw my back out, so I am walking around very gingerly the past few days. 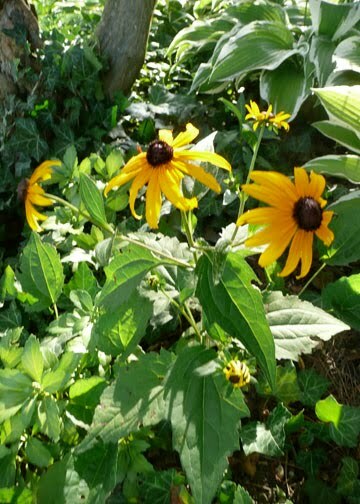 On a happier note, while I was outside I decided to snap a few photos of the nicer things going on around our house. Here's hoping this new week will be better than the weekend was at our house! Hooray! I have found you again. You are on my favorites list so I don't loose you again. Hope your week is better, too! LOVE your wheel barrel full of pretty flowers. I've had garden accidents/incidents like that too- I just tell myself that it adds character to my garden. 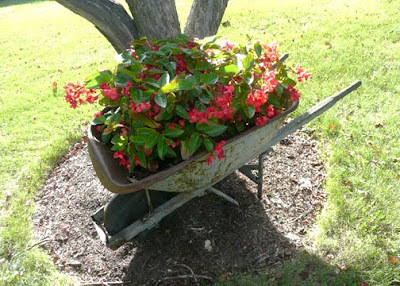 Love your wheel barrow full of flowers. Hope your back is "back" to normal soon. 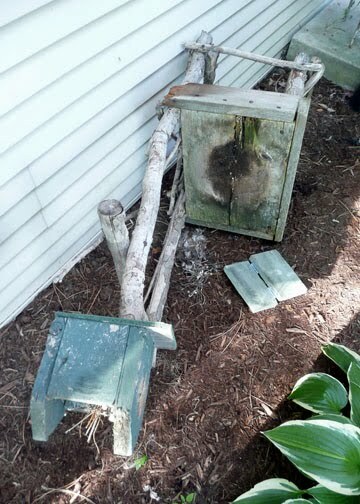 Jeanne I am so sorry about your little wrens and their sweet home... and your back too- such a bummer! Wishing you sweet days dear girl. I hope the birds were safe - sorry about the chair, the bunny, the birds but mostly for your back. Ouch! I HATE when that happens!